Rowcroft Hospice, most known for its compassion, medical expertise and helping patients and families make the most of everyday is launching a new event. The hospice is also known for its Sleep Walk event among others. However, Rowcroft Hospice has now launched a brand new, men only event, just in time for Spring of 2019. 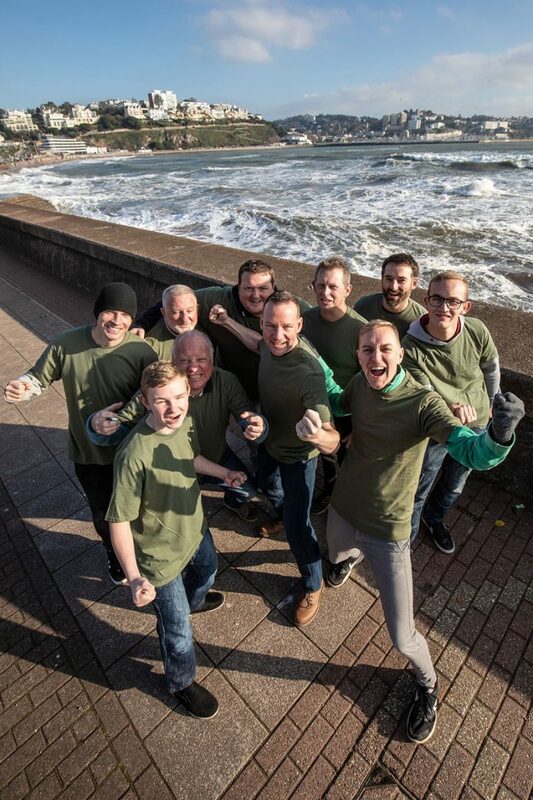 On Saturday 16th March, men from across South Devon will be stepping out in support of their local hospice, walking 8 miles across the Southwest Coast path and surrounding areas of Torquay. The charity walk, not only coincides with the start of Spring but also with the RBS 6 Nations Rugby championship, and will finish in time for the final kick off, England vs Scotland. The Male Trail is conveniently located around a host of “watering holes”, perfect for you to enjoy catching the final match at, which will be shown across big screens at the Torquay Rugby Club. All men that finish the 8 mile walk can enjoy a free pint and a well deserved hot pasty, sounds good to us. The Male Trail, is based on a similar style of event that was really successful for other hospices in the South West, including the St Luke’s in Plymouth and Hospicecare in Exeter. As with the many other events that Rowcroft Hospice host throughout the year. Participants are encourage to raise as more sponsorship money to help support the ongoing care provided by Rowcroft Hospice. The Male Trail, has adopted a new option for donating to the event in lieu of the raising Sponsorship in a bid to boost income. For further details and to sign up, you will need to visit www.themaletrail.com, you do need to be 16 years of age to sign up. The cost is £28.00 for adults and £20.00 for under 18s.